Favorite Position: Anywhere on the track. I’m a utility player so I’ll go where my coach tells me to. Likes: My friends, family and meeting new people…and of course skating. Injuries: Broken tibia, fibia, and 5th metatarsal in derby-related accident involving stairs. Broken radius and ulna in left wrist in derby related accident involving hurdles. Actual bones broken during derby related skating, none yet. One concussion and lots and lots of bruises! Favorite Music: Billy Idol…if you can’t figure the song you might as well go home now! Also anything with a good backbeat. 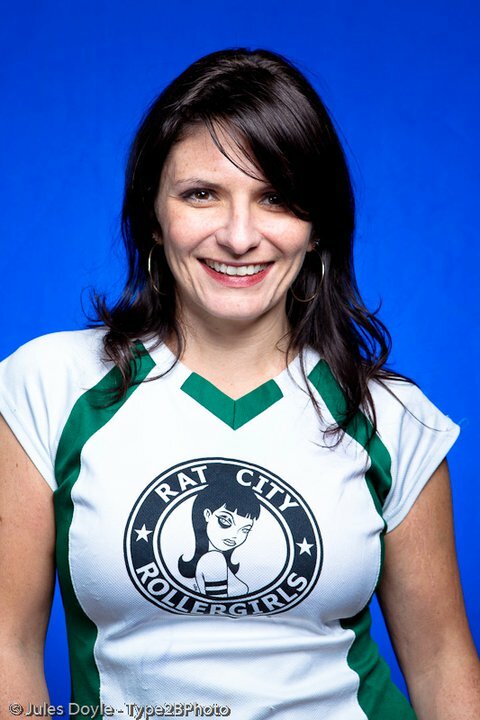 Awards: MVP April 2010, Rat City Rollergirls orginal member – skating straight for 8 seasons.